Blek – Games for Android 2018. 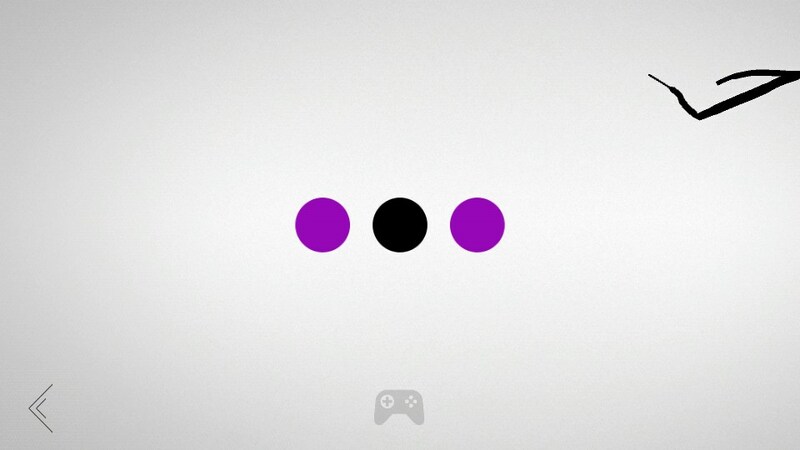 Blek – Challenging 2D logic puzzle. 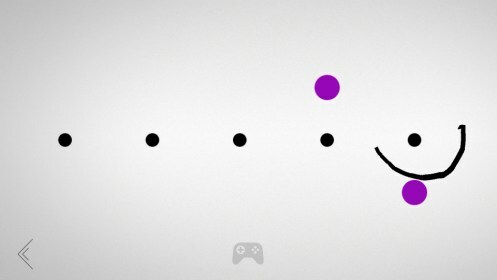 Blek for Android is a 2D puzzle game with an original concept and stripped down minimalist design. There’s no high score, no settings or options, no instructions as far as I could see (apart from a visual clue at the start). 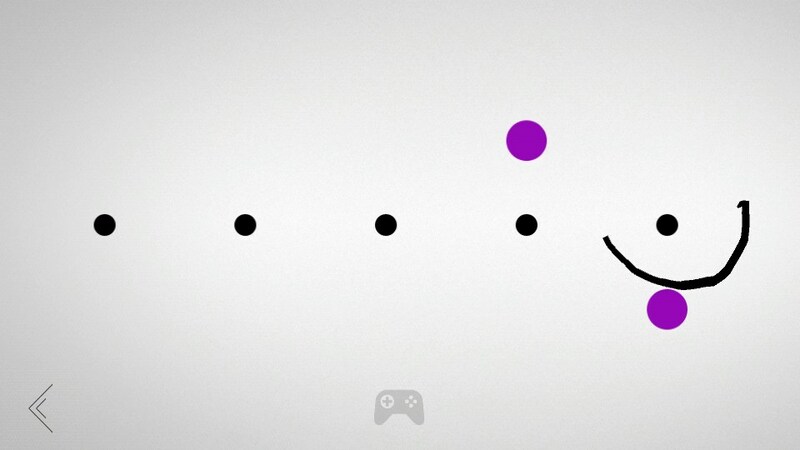 Blek simply saves the level you were on, and presents that level next time you open the game. It’s possible that figuring out how the Blek universe works is part of the fun; but it would be very difficult for me to describe this game without explaining how it works. But if you try the game, you’ll figure out how it works pretty quickly, so hopefully this review won’t be too much of a spoiler! What you do in Blek is trace your finger, however fast or slow you want, to shoot a squiggly black line. The line will move at the speed you traced, and in the repeated patter. 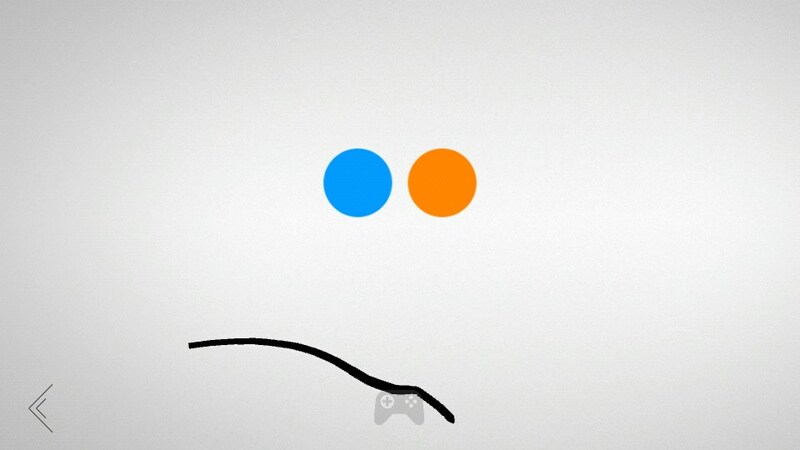 It will bounce off the sides of the screen, but disappear on the top and bottom. If you find that your line is simply bouncing back and forth between the two sides, as can happen, just tap the screen to restart. The aim is to fire your squiggly line through the colored dots (sometimes in a particular order) but avoid the black dots, which act as black holes. As you can fire any shaped squiggle with your finger, there’s a pretty much infinite number of ways that you could complete each level. The coloured dots are often interspersed with black dots, so that you need to use an arc shaped line that will bounce in between the black dots. Blek nowhere near as easy as it sounds. 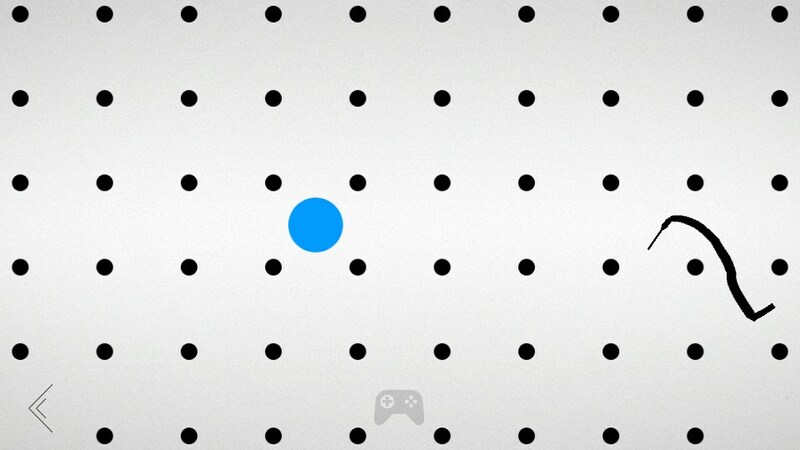 You can’t simply trace through coloured dots, because as soon as the line hits one, it will start to repeat its pattern. The line going to start repeating in the direction it was heading when you stopped drawing it, so you need to worry about this as well as the shape you need. Sometimes Blek will seem quite unpredictable. Blek for Android quickly becomes very challenging, but when you finish a hard level, it makes you feel very smug and clever. Until you get stuck again!